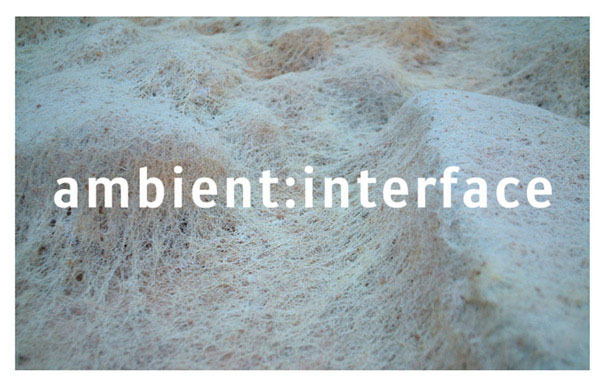 The conference theme was “ambient : interface” which addressed how software not only changes how design works, but more importantly how design thinks. The logics of computation and the languages of the interface transform one practice into another: cinema into architecture, product design into philosophy, urban planning into advertising. 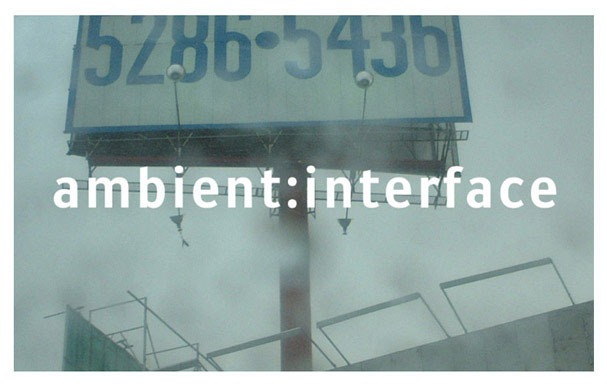 The conference posited interfaces are a kind of architecture, connecting people through physical objects and systems to local and global networks. To address this theme I went through my library of thousands of pictures I’ve taken, looking for images that convey networks and interfaces in nature, in our human built environment, in our surroundings. 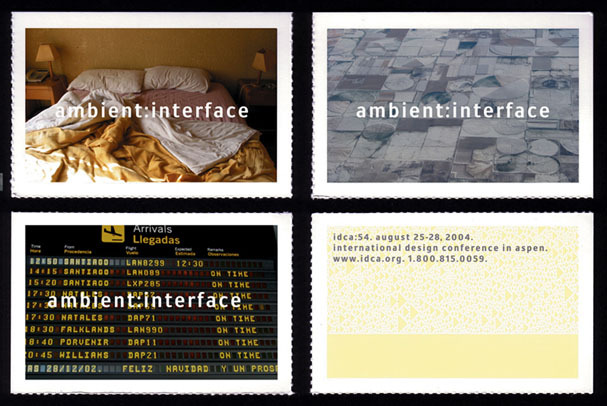 To exploit the loyal audience IDCA has built up over the years the promotional flyer for ambient : interface was a perforated sheet containing 18 different announcements that would make the recipient into an ambassador for the event, able to invite and recruit their own people.